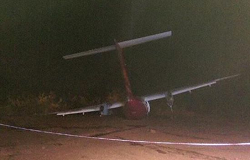 The aircraft received substantial damage when it ran off the left side of the runway following a hard landing at Hubli Airport. Its left maingear gave way allowing the left wing ans propeller to strike the ground. All passengers and crew safely evacuated. At the time of the landing weather consisted of heavy rain with local thunderstorm activity. Local media reported the pilots abandoned an earlier approach due to the adverse weather conditions and entered a holding pattern for about 20 minutes to wait for improvement. Hubli runway is 1670 meters in lengh but does not feature an instrument landing approach (ILS). 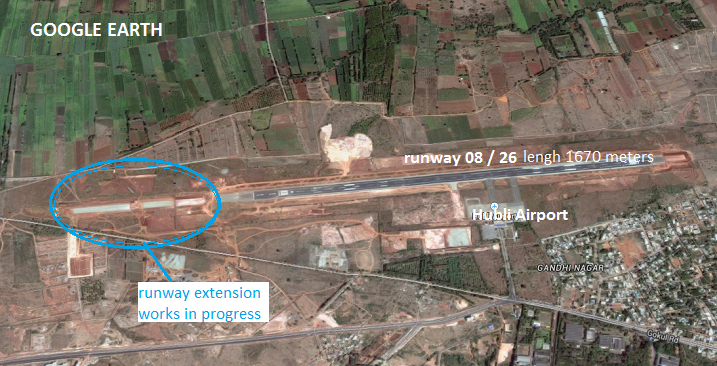 Recently, the runway at Hubli was widened from 30 to 45 metres. The DGAC has opened an investigation. 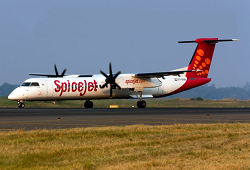 NOTE: SpiceJet inaugurated the route from Bangalore to Hubli only 1 week earlier in March 1st.